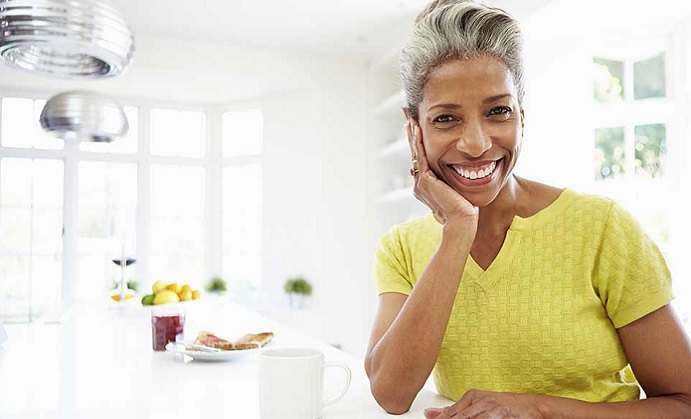 Basic Information: What is Fusion Health Menopause? This review is all about the Fusion Health Menopause product, and it will help you to make the best and informative choice when it comes to buying this product. It contributes to managing the ever stressful menopause symptoms by naturally relieving you of the hot flashes, low libido, fatigue and other symptoms. This product is available in most of the Australian drugs store as well as it’s manufacturer’s website. Anemarrhena Asphodeloides – Root, 400mg. Epimedium Sagittatum (Horny goat weed) – leaf, 400mg. Angelica Polymorpha – Root and Rhizome, 375mg. Curculigo Orchiodes – Root, 375 mg.
Actaea Racemosa – Root and Rhizome, 350 mg.
Vitex agnus castus – fruit, 200mg. The Fusion Health Menopause product is designed in such a way that you can swallow the tablets easily. The recommended dosage for daily intake is 1-2 tablets at once, or you can take them twice daily. You can take an extra dosage of the tablets to enhance the results. It is necessary to read the given instructions carefully on the label and use the product as directed. In case symptoms persist, it’s important to talk to your healthcare advisor immediately. 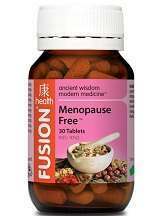 Fusion Health Menopause comes in sizes of 30 tabs ,60 tabs, and 120 tabs. The 30 tablets cost $27.95. The 60 tablets cost $44.95 and the 120 tablets cost $76.95. After using the menopause product for one week or so, some users have complained of nausea, stomach upsets, excess sweating and others have had terrible headaches. Other customers of the products have complained of disrupted sleep with night sweats. There is no production commitment, and the Fusion Health Menopause supplement does not offer any money back guarantee in case the product does not work. It has customer reviews on the manufacturer website and apparently it is only one positive review. It is not viable in most of the stores in the United States, and it has many online reviews that say the product is not super efficient. The prices are a bit higher than other similar products on the market. Fusion Health Menopause has been created with the best natural ingredients. However, it is not 100% efficient due to unknown reasons, and some customers have complained of side effects. The high prices are a setback, and the fact that is not clinically proven makes the products effectiveness less known. While some customers get positive results with the products, there are other cheaper and more efficient menopause products in the market. This product also does not come with any money-back guarantee.